Our featured article this week comes from the dark ages, before we started creating digital versions of the magazine. So we had to march back to our archives, pick out the magazine and then dig out the scanner. Join Free Join our community to easily find more Audi, Ford, Honda, Mercedes-Benz, Porsche and Volkswagen articles. Awesome. I love these old articles. Keep'em coming. Gotta love the porthole in the Pinto wagon. Yeah, this one was fun to do--back before we printed in all-color. This was even back before you could talk to everyone over the internet. Yesterday Ed and I picked some more old articles to scan and post. Look for them soon. -Volvo V70R... with the kiddos in the back, literally. -70's era Civic on some really skinny tires. Talk about body roll, but it actually did surprisingly well for the class! -Typical sports cars, pony cars, etc, nothing unusual to see them out among cones. -1980 something F150... driven by a grandma in her 70's, with the 302 and 5-speed. Turns out, granny could wheel! -Speaking of Fords... there was also a 1930's Ford hot rod of some sort or another. Pretty sure the car was pieced together from a few different models. Rear tires were probably 5x as wide as the fronts, and somehow this thing still managed to turn on those motorcycle-skinny front tires... car ended up taking the class win that day. Really looking forward to seeing what the field looks like this year! Every car I've autocrossed has been an odd ball. 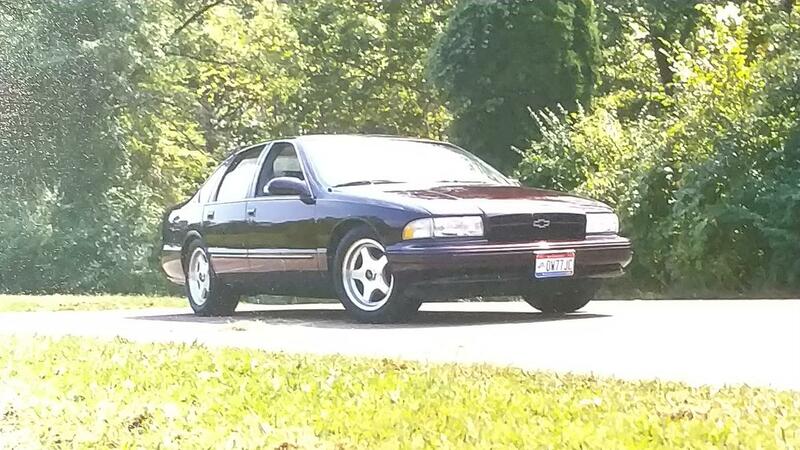 Started off in a 1996 Impala SS. 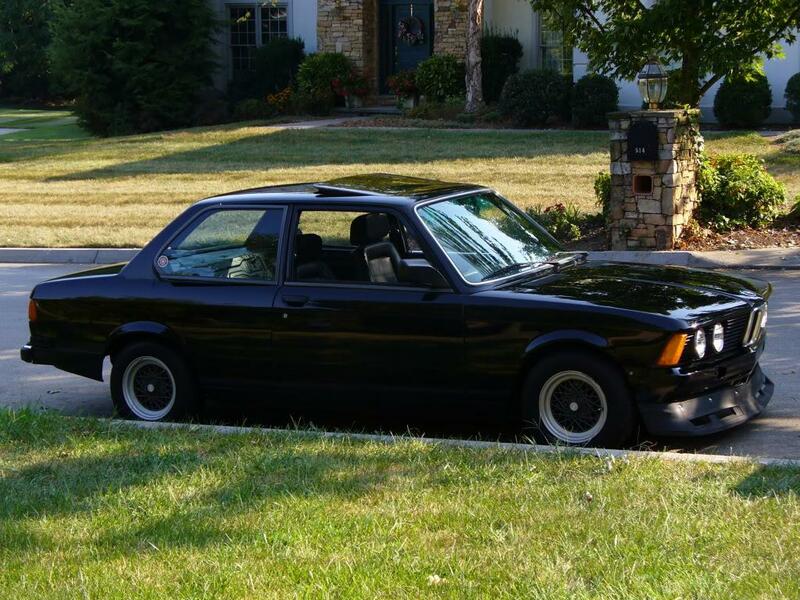 Then a 1982 BMW 320is. I guess the BMW's aren't so odd for autoX cars but certainly none of those cars are what you would call a popular pick for the sport. The top photo excites me. 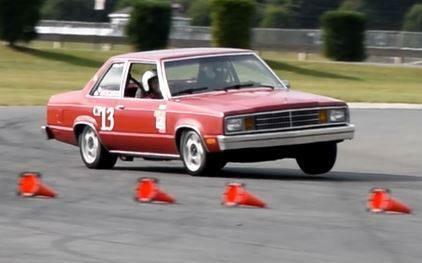 I'm hoping to get our Lemons W116 ready for some autocross duty. 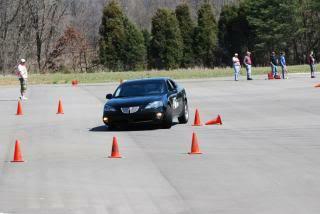 Gonna be FUN in the cones, although a bit slow. Can you guys do a retro article like this? Basically, this same article, but featuring oddball cars of today. Not a crazy idea. Also, the original was done pretty much before internet. I think we had a few cars in the can. I think we put out the call through the magazine, and I remember chasing down people via phone and mail. Also, there's a house near me with two Pinto Custom Cruisers parked outside. Every time I drive by I'm confused by how good I think they look. 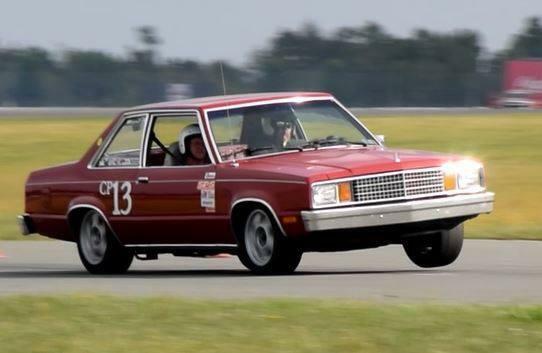 I won a provincial class championship (G/stock I think) in a 1983 Pontiac 6000 STE on Goodyear Eagle tires. I blew the motor in my Austin Mini at the first event of the season and just took the family DD to the 2nd event, where I won the class, so I kept going for the rest of the season. My main competition was from a Honda S800. I remember reading this article back when it originally came out. My guess is its from the early to mid 90's. Back in the mid-70's, I used to autocross my '66 VW Van. Never turned it over, either. And one time, I even beat a guy. True, he was driving a '63 Corvair van, but hey, a win is a win. One time my dad instead of his 69 corvette ran his 75 buick riviera gs back in the day. How very strange an event that a Pontiac 6000 and a Honda S800 were even in the same parking lot, much less competing with one another! Hard for me to fathom that those two cars are even in the same category as "cars" if it makes any sense, they're just SO different from one another. Cool mental image in my head though, thanks for sharing! Ha! I autocrossed a Geo Metro convertible way back. And did NOT come in last place in my class! Broke the race car one time taking it off the trailer. Only choice was to enter my 19 84 Suburban in a street prepared. A diesel no less. Points Racing for season championship. Had to do three point back up turn in one of the Petersen boxes. 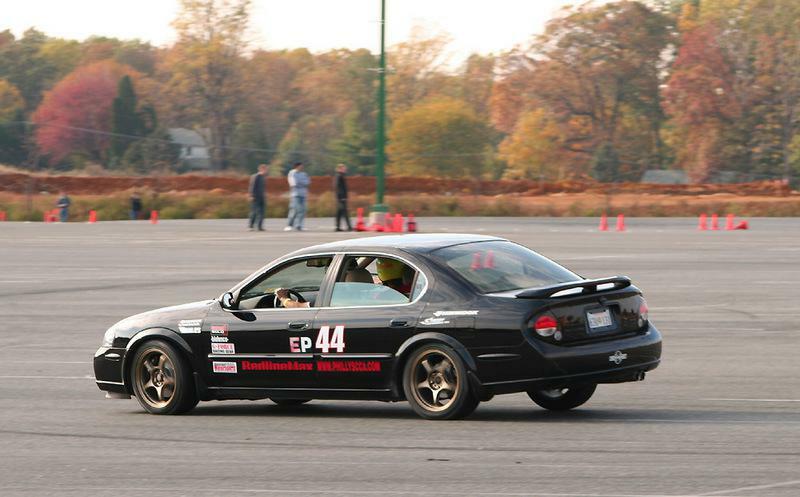 I started auto-x in a 2002 Elantra Sedan. White. Ran that several years before "getting serious" and looking at the rule books and car options that weren't 89 Civic Si's. Settled on a 1994 Swift GT. Exterior dimensions of a CRX but narrower, 4wheel disc, 1.3L dohc and 1700lbs. 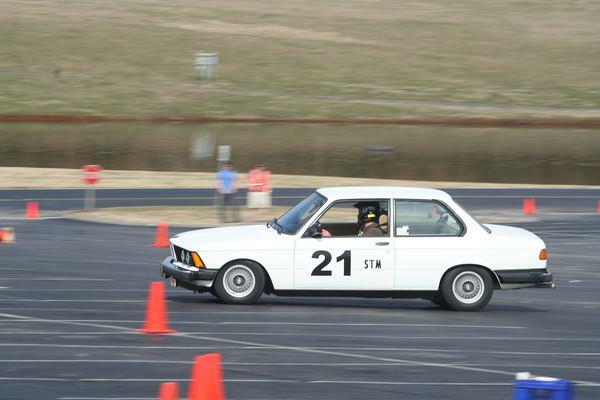 This was the PERFECT autox car........ on paper. Complete crap in reality but I still love the sound of that G13B at 9k rpms. From there sold and got the C4 Z51. That car just hated me. Seriously. There to the Forte SX sedan.... my first decent auto-x car. Now I race the truck. I don't know why I haven't won anything serious with my cars. I just cant figure it out. Uh, oh. I have to bust out these pics again. You know I hate to do it. This belonged to a buddy of mine . . . or, more specifically, his wife. I can’t find it now but the previous owner of my old g20 van had a pic of it autocrossing years ago. The 'least appropriate' vehicle I've ever run with was an 86 F150. 2wd, 300 I6, 3 speed manual, stock suspension and rolling on L/T tires. It was every bit as slow as you would expect, but hilarious to watch. Some dude had a track prepped Juke at Carlisle a few weeks ago. I'm embarassed to admit he actually beat me, but it was stripped, caged, well-prepared, and well driven. There's also an SRT8 Grand Cherokee that showed up a couple of times and actually embarassed a lot of quick cars.